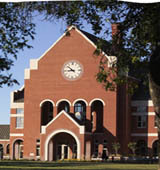 Northland College received a A.
Washington Monthly's ranking of 127 out of 246 of Liberal Arts Colleges - Overall Rank was a major contributor to this grade. Tiny United Church of Christ Northland College in Ashland, WI (on Lake Superior), offers a liberal arts education melded with a curriculum that emphasizes environmental issues, becoming renowned as a national leader in environmental and sustainability matters. Students can participate in Folk Fest, the longest running festival of its kind in Wisconsin, or ski at one of the area's seven ski resorts. Describe the type of student who should not attend Northland College and explain why. Describe the type of student who should attend Northland College. Why? Northland College was established in 1906--the offspring of an institutional ancestor, the North Wisconsin Academy, which was founded in 1892. The founders of the Academy were eager to provide an educational opportunity for residents of the region, but more than this, they sought to provide an environment for learning that would emphasize Christian moral and spiritual values. The Wisconsin residents who established the College were active in the Congregational Church and, to this day, a relationship exists between Northland and the Congregational Church's successor, the United Church of Christ (UCC). The College cherishes its connection with the UCC and the value that the denomination places on free inquiry and recognition of each individual's intrinsic worth. Northland's heritage also reinforces the conviction that education is for all who desire it, and the College's doors are open to people of all faiths and backgrounds. Northland's past is an integral part of the College's character. Wheeler Hall, built in 1892 (photo above shows the placement of the cornerstone), is an original campus building that was renovated in 1993 and 1994 to preserve its historical character and is still the centerpiece of campus. It houses faculty houses and classrooms for the humanities and social sciences and is listed on the National Register of Historic Places. Northland College continues to examine itself-to look forward, to consider innovations, and to expand opportunities. It does so by recognizing its traditions and distinctive environmental mission. The students, faculty, staff, and all those who support the educational mission of the school, continue to strive for educational excellence in a unique natural setting as have generations before them and as will generations to come. 77% of students live on-campus. Any instructional program in atmospheric sciences and meteorology not listed above. Any program in forestry not listed above. A program that focuses on the scientific study of the occurrence, circulation, distribution, chemical and physical properties, and environmental interaction of surface and subsurface waters, including groundwater. Includes instruction in geophysics, thermodynamics, fluid mechanics, chemical physics, geomorphology, mathematical modeling, hydrologic analysis, continental water processes, global water balance, and environmental science. A program that focuses on the scientific study of the prediction of atmospheric motion and climate change. Includes instruction in general circulation patterns, weather phenomena, atmospheric predictability, parameterization, numerical and statistical analysis, large- and mesoscale phenomena, kinematic structures, precipitation processes, and forecasting techniques. The average student pays $17,245 for tuition, fees, and other expenses, after grants and scholarships. Total stated tuition is $29,000, in-state and on-campus, before financial aid. Learn more about financial aid at http://www.northland.edu/finaid.htm. Estimate the net price for you at http://www.northland.edu/calculator.htm. 51% of students graduated on time. Northland College participates in the NCAA Division III for college athletics. Want more info about Northland College? Get free advice from education experts and Noodle community members.